ST40 series made by G.Comm are brushed electric micro-motors, 10.000 – 40.000 rpm, with optional LED light and internal spray, detachable sleeve, compatible with Type E connection compliant with ISO 3964. 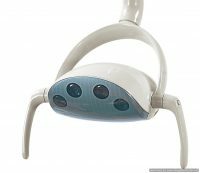 ST40 Micro-motors offer great performances with a smooth rotation up to 40.000 rpm and can be combined together with CMG01 controller unit, easily adaptable to all dental chairs equipped with a pneumatic or electric pedal. The adapter micro-motor to turbine tubing allows the connection between G.Comm micro-motors or any other micro-motor with MC2 B-A compatible connection to a turbine/micro-motor tubing (MC3 tubing or similar). This product is a G.Comm Patent.